You may have noticed I'm a little pleather crazy at the moment. Dresses, jacket sleves, boots, and now these shorts. But I just love how items look when made in this material. These gorgeous shorts are from OASAP which are only $24 (aprox. £14.58) and come in 7 different colours! I also got this sweatshirt recently from She Inside for only $30, but has now gone on sale for only $16.45 (£9.99!). I'll admit that I didn't (and still kind of don't) know what Comme Des Fuckdown is haha. I thought at first that it was a play on words from the brand Comme Des Garçons, but then googled it and there seems to be a tumblr blog called Comme Des Fuckdown. So I'm just all over confused haha! If you know please comment and let me know though! The jumper is so awesome! As much as I want to I cannot wear shorts this early in the year! I'm still wrapped up in several layers of clothing before i go out! 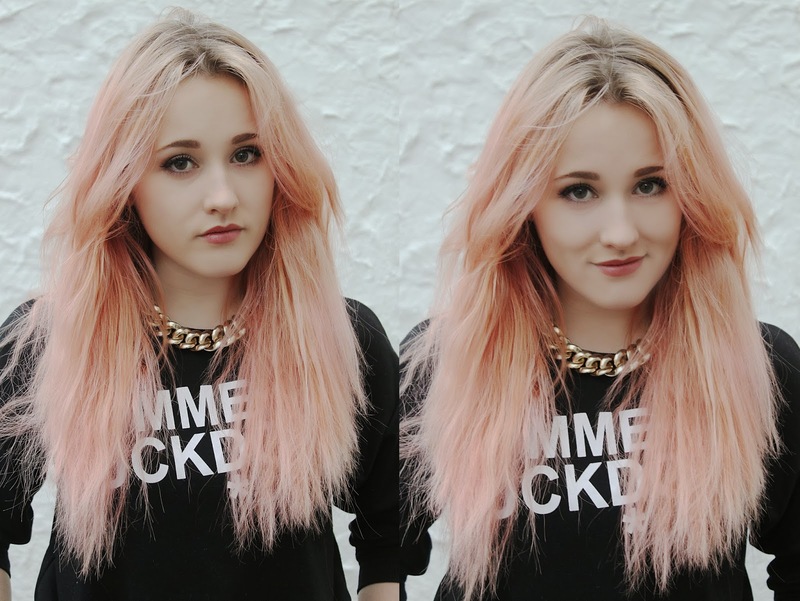 I love your jumper (i have the hat version) and you hair is a lovely colour! Check out my giveaway on my most recent post! Really like this outfit. I've always wanted this jumper.